Listen: Star Horse - "Pickle Plum"
Founded in early 2011, Star Horse was the result of a chance meeting in Tokyo between Swedish artists Maja Thunberg and Andreas Ryberg, who found that they shared a mutual affection for the noise and rhythms of shoegaze. Once they returned home to Stockholm, they began to think about how the band could be fleshed out by bringing in some additional musicians – they eventually attracted the attention of drummer Samuel Hemmilä and bassist Kristian Östberg, and the lineup was complete. They all drew upon different musical influences, but the soundtrack to “Twin Peaks” wound up being the common thread through which all their inspirations were united. 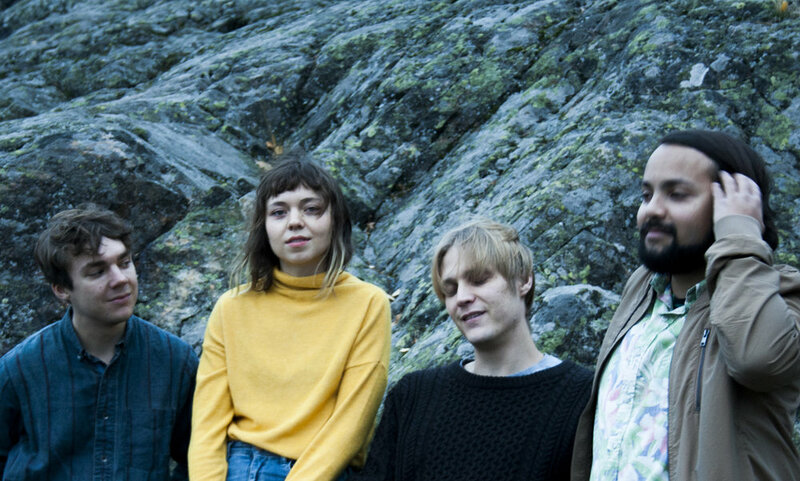 Since then, they’ve developed both a devoted following in their native Sweden, insinuating themselves firmly in the local shoegaze/dream-pop scene, and finding success whenever they tour outside of their home country. As part of their effort to help build the Stockholm music scene, they established the DIY festival “Fuzztival” alongside fellow musicians Follow the Sea. And though they’ve primarily released their work on their own Häxrummet Records imprint (including a trilogy of EPs and various singles), for their upcoming debut album, “You Said Forever,” they’ve partnered with Startracks. The new record is set for release on Feb. 15. On their latest single, “Pickle Plum,” they veer closer to a melodically-rich vein of dream-pop rather than to the often harsh realities of shoegaze. Hazy voices drift and swirl through a cloud of chiming guitars and propulsive percussion. Reminiscent of Cocteau Twins or the more ethereal side of The Jesus and Mary Chain, the track is awash in ghostly rhythms and illusory landscapes. The band builds upon their well-worn inspirations to create something familiar yet unique in its personality and perspective. Dense but not impenetrable, “Pickle Plum” is filled with an unbridled creativity that begs investigation and analysis.